Kathleen Gnall is an independent consultant based in Mechanicsburg, Pennsylvania, who works with criminal justice professionals, policy and decision-makers, community and business leaders, social service providers, and members of faith-based and non-profit organizations, towards the dual goals of enhancing public safety while improving individual outcomes. 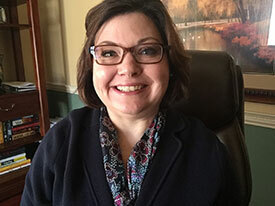 Ms. Gnall serves as an expert witness in prison adjustment, assessing defendants and criminal offenders for their risk of committing crimes in the future and offender preparation for community reentry. She has been retained as an expert witness by private counsel and public defenders in more than a dozen resentencing cases for juvenile lifers in Pennsylvania. Ms. Gnall spent seventeen years in public service as an employee of the Pennsylvania Department of Corrections (PDOC). She held several positions with the PDOC, which included: the Executive Assistant to the Secretary of Corrections, the Director of Policy, Planning, Research, Evaluation and Grants, and the Deputy Secretary for Specialized Programs and Reentry.